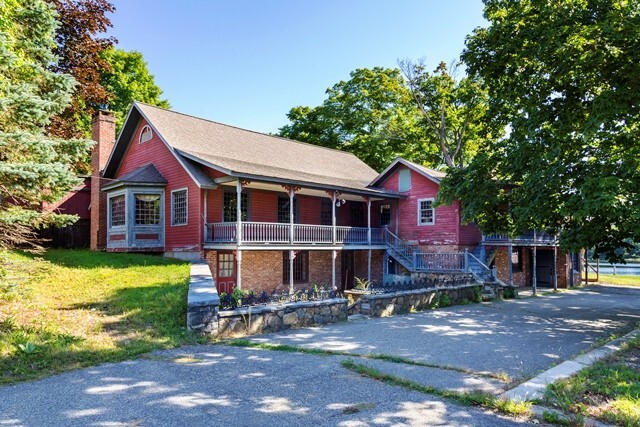 EAST HADDAM, CT--(Marketwired - October 16, 2014) - Just in time for Halloween, Auction.com, LLC, the nation's leading online real estate marketplace, is partnering with RM Bradley to bring to auction a Connecticut ghost town: the historic Village of Johnsonville. 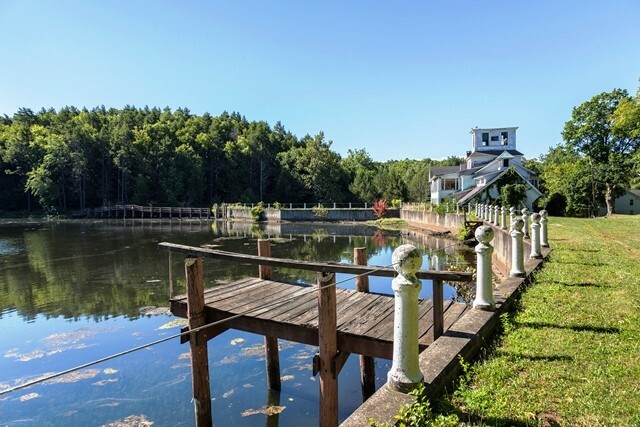 Situated on approximately 62 acres of land, the property comes complete with eight 19th century structures, a picturesque pond, a covered bridge, wooden dam, waterfall and the possibility of a restless spirit or two. 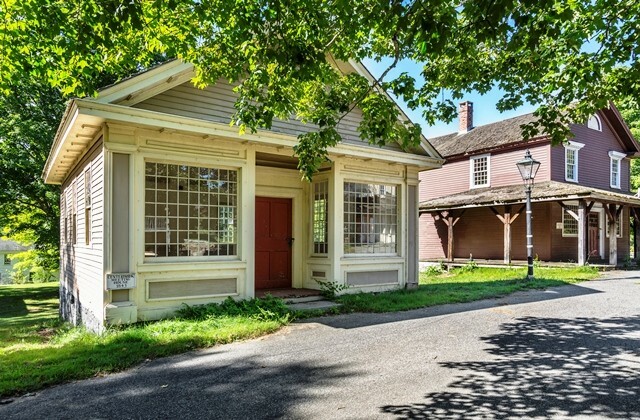 Located in the Moodus section of East Haddam, Connecticut, the Village of Johnsonville was a booming mill town in the 1830s and home to the Neptune Twine Company, which made some of the finest binding rope for the nation's fishing industry. 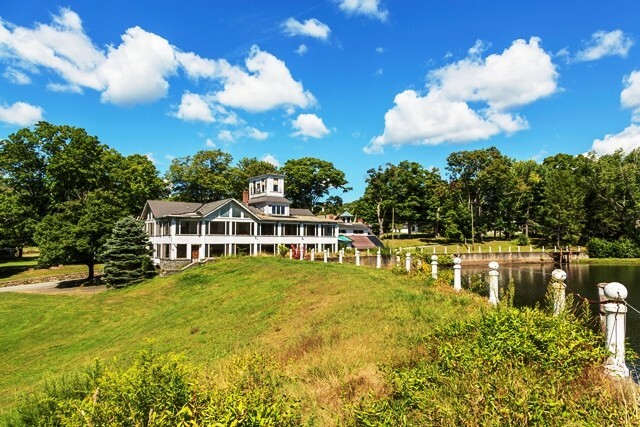 Once a bustling town and a thriving destination for trade and recreation, Johnsonville eventually fell victim to America's modernization and was abandoned until an eccentric millionaire named Ray Schmitt purchased the town in the 1960s and began restoring it to its former grandeur. Unfortunately, Schmitt died before realizing his dream of transforming the town into a Victorian tourist attraction and it has been sitting vacant ever since. Or, perhaps not, depending on what you believe. Attached to the town are rumors of hauntings, including the possibility of Schmitt's spirit remaining behind to guard the town he dreamt of one day bringing back from the dead. Another story revolves around the idea that the stately Johnson House on site is haunted by the spirits of 1890s mill workers whose bodies were customarily laid out in the parlor before their burial. Whether real or imagined, these spooky accounts are adding to the growing interest in this unique property as Halloween approaches. "While there are certainly a wide variety of properties available for sale on our platform, it isn't every day that an entire town goes up for sale -- much less one of historical significance," said Rick Sharga, executive vice president of Auction.com. "The whole 'haunted or not' discussion kind of takes things to another level altogether, especially at this time of year. But potential buyers can rest assured that there will be no extra charges for any ghosts who may be attached to the property." The subject of ghosts aside, the Village of Johnsonville offers endless possibilities for commercial real estate investors. Its historically accurate buildings have been featured on National Geographic's Abandoned and served as sets for film productions such as Freedom, starring Cuba Gooding, Jr., and Deep and Darkness with Sean Patrick Thomas and Dean Stockwell. Billy Joel's "River of Dreams" music video was filmed over the lake. "The Village of Johnsonville is considered a special purpose property, given the uniqueness and nature of it," said Jim Kelly, senior vice president of RM Bradley. "Whether the draw is the historical roots, the potential for the land's usage, or just the eeriness of the stories associated with it, this property is drawing a considerable amount of attention from a large field of potential investors." The online auction begins Oct. 28 with a starting bid of $800,000. Bidders must register at www.auction.com and provide a $10,000 deposit and proof of funds. Property tours will be conducted by appointment on Thursday, Oct. 16 between 10 a.m. and 3 p.m., local time. Please contact Jim Kelly at (860) 241-2704 to schedule an appointment. The online auction is backed by Auction.com's extensive marketing program and leading online platform, which bring together sellers and qualified buyers through a highly transparent process. As a result, both sellers and potential buyers benefit from a timely sale that sets a fair market value for the property. Auction.com, LLC, is the nation's leading online real estate marketplace. Founded in 2007, the company has sold over $26 billion in residential and commercial real estate assets. Auction.com has over 900 employees and headquarters in Irvine and Silicon Valley, California as well as offices in Austin and Plano, Texas, Atlanta, Denver, and Miami. Visit Auction.com for more information.